Just as there are fashions and trends when it comes to the wedding themes and the attire that is in fashion in each year, the same can be said about the wedding updo’s. With this being one of the most special occasions to take place in a person’s life, of course they want to look their best from head to toe. 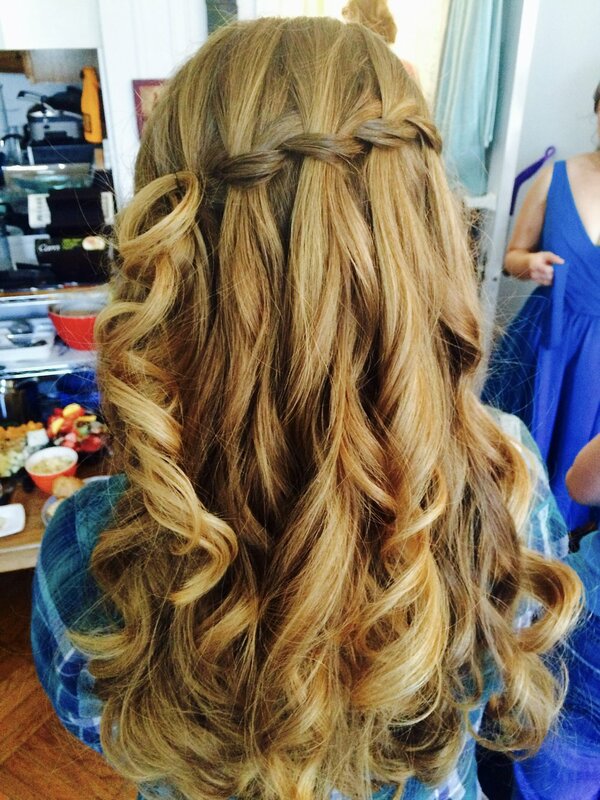 There is often the misconception that these types of hair styles are only applicable to the bride with long hair. In fact, there are styles that fit into this category that apply to both medium length as well as short hair. For the medium length hair and for those brides who don’t want the updo to be piled on top of their hair, instead of going up then going out is the answer. This is done with waves that cascade to the back of the head and flow up and outwards. For the short hair bride that has dreamt of having that beautiful updo for her wedding day there is nothing stopping her from having it. Her stylist can put some extensions to good use and create such an exquisite look that nobody will know it’s not her own hair. For the wedding party theme that is designed around everyone having a similar hair style then this makes for a perfect solution. Everyone can have an updo that looks the same yet is different in its presentation. For the woman who wants a soft but elegant looking updo then the design of it will have to work well with the type of bridal hair embellishment she has chosen. It may be a tiara with a full veil, or the choice of some matching bouquet flowers to be intertwined. A great alternative to these would be an updo that allowed for the weaving in of a string of pearls. This creates a beautiful soft demure look for the bride.Aside from this updo hairstyle looking absolutely magnificent it comes with some extra advantages when used for the summer wedding. It is usually warm if not hot on these summer days and with all of the wedding attire that has to be worn, having the hair up off the neck provides some welcome relief. It is also another great way to allow for the showing off of beautiful necklaces and earrings that are chosen for the special day. Nothing has to be sacrificed when it comes to the complete wedding attire and accessories being shown at their best.